There are (at least) two ways to insert sleeves in your Archer, and I am going to show you both methods I use. First up, the easier one; stitch and serge the sleeves to the sleeve to the body of the shirt BEFORE stitching up the side seam of the shirt. 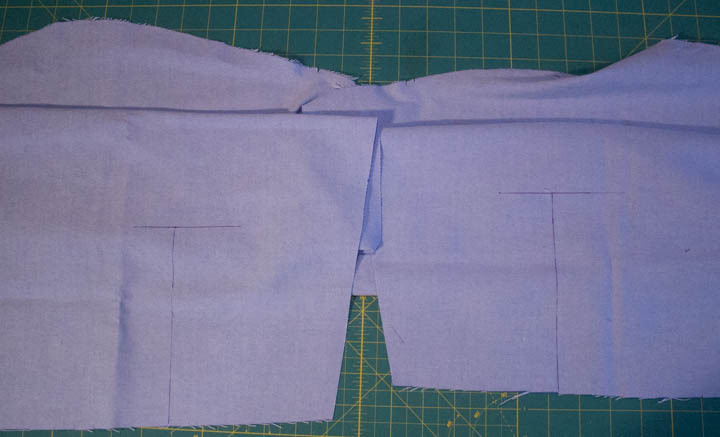 Now this method requires that the sleeve armscye is the same length (or almost the same) as the armhole of the shirt. Luckily, it works like a charm on the Archer. If you want to try it on a different pattern, just make sure to measure along the stitching line of the sleeve and the armscye first! Here’s how I approach it. 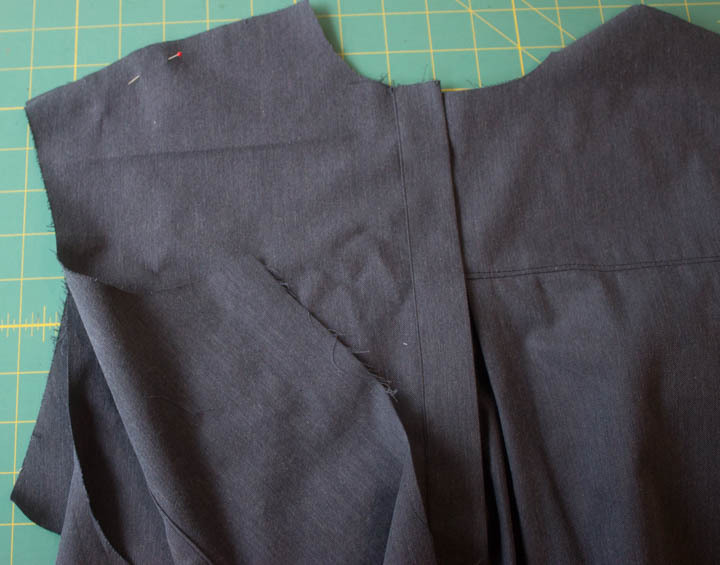 Pin from the outer edges to the notches on the back and front side of the sleeve, and also pin the shoulder point. What remains is the amount of ease that needs to be distributed between all those “fixed” points. 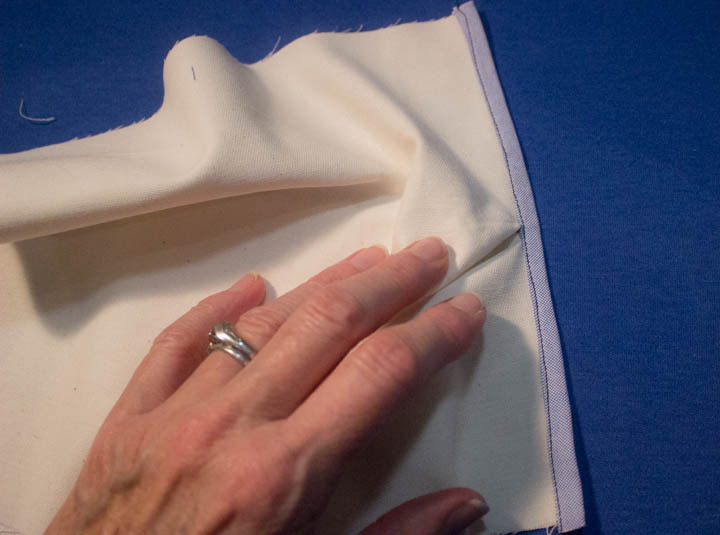 With the sleeve on the bottom, I just roll the armscye/sleeve over my finger to smoothly distribute the extra fabric. 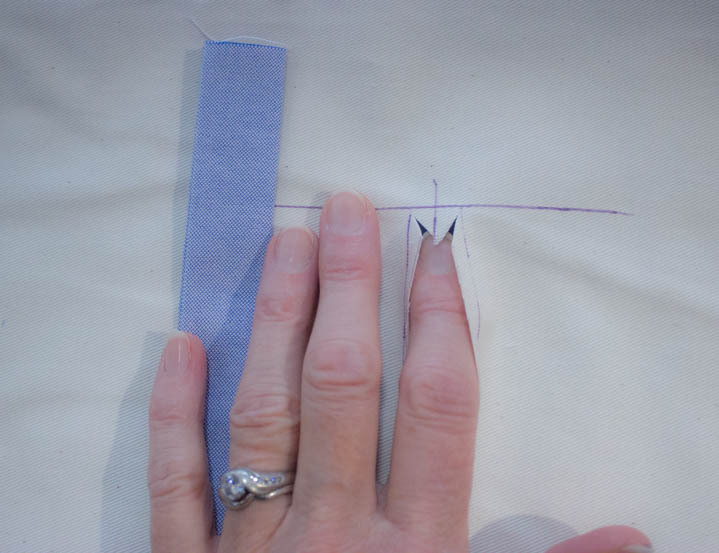 You can read my tutorial about setting in a sleeve with out an easing stitch for more deets. After the pinning, all that is left is to stitch on your machine, and then serge finish the raw edge. Super simple. 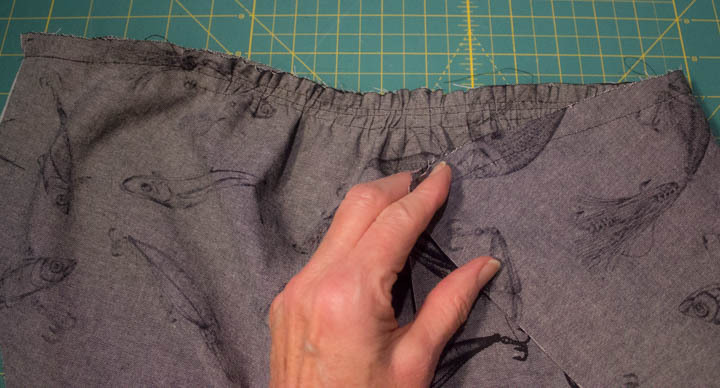 I like to stitch first and then serge just because I think it looks better, and I am also much more accurate at stitching on my sewing machine than I am on my serger. Your call if you want to skip the sewing machine step. Now, if you want to try a RTW felled look for your sleeve shoulder seam, there is a little more to it. 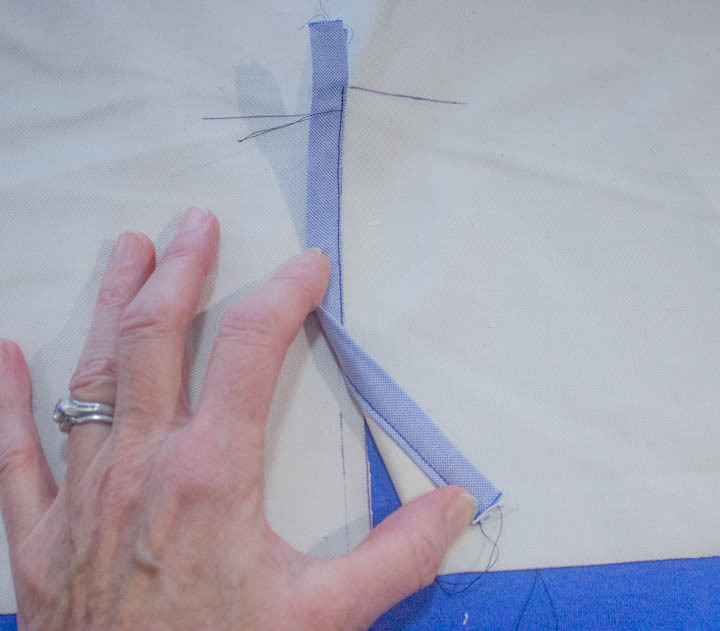 Start off by adding 3/8″ to the cap of the Archer sleeve pattern. Obviously you have to do this step before you cut out your sleeve. So now you have a 7/8″ SA on the sleeve cap,and 1/2″ SA on the armsyce. Now let’s pin the sleeve to shirt. The idea is to slip the shirt body under that fold you just pressed across the top of the sleeve. Lay the sleeve down RS facing up. 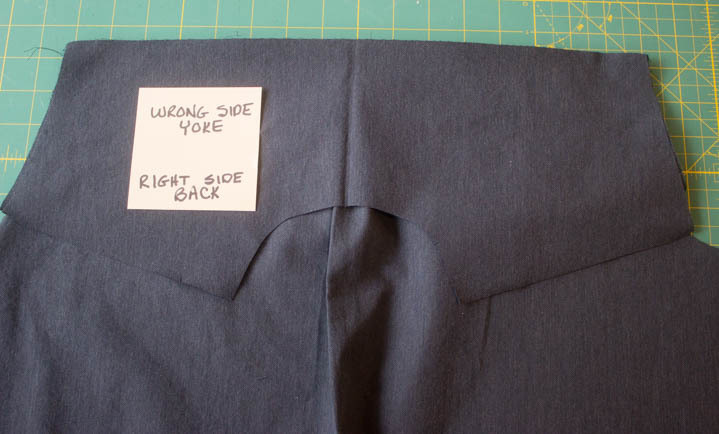 Lay the RS of the shirt body (back, yokes, front) onto the RS of the sleeve. 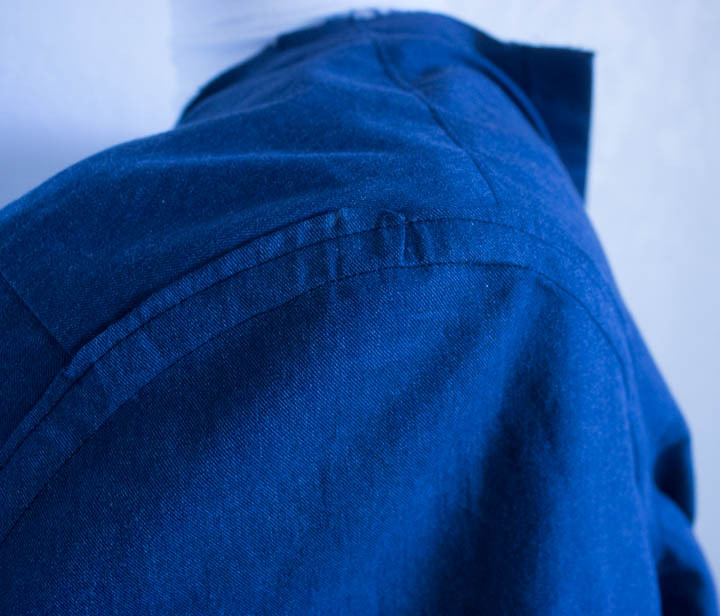 The edge of the shirt should be slipped under and butting up against the pressed sleeve fold. 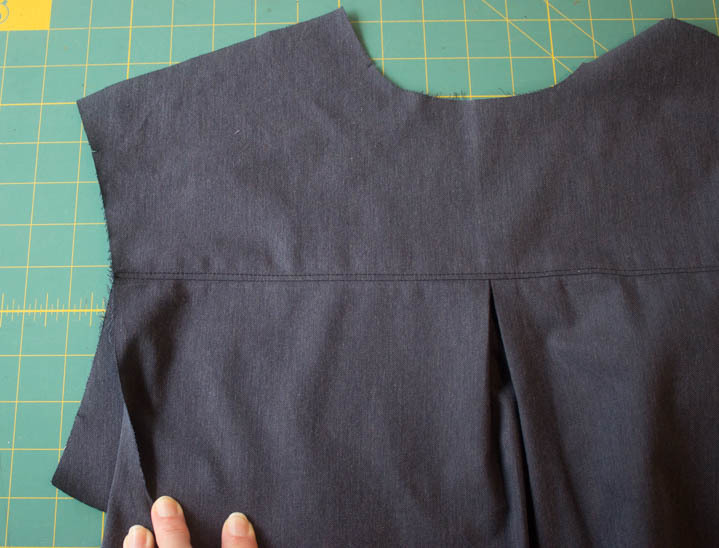 Pin from each end to the front + back notches with a 1:1 match, then pin the shoulder notch, then distribute the sleeve ease evenly across the body. 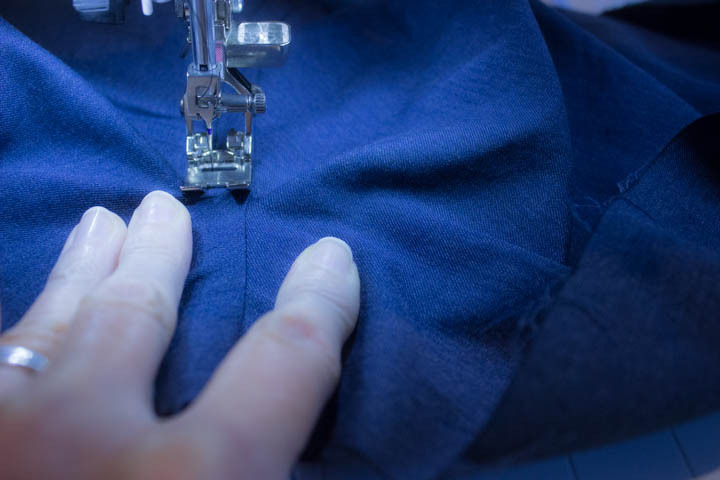 This pinning process is identical to the one used in the stitch and serge method. 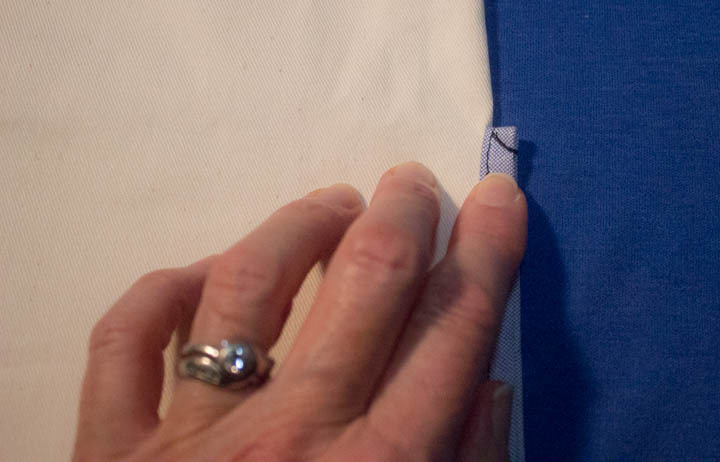 With the sleeve against your sewing machine, stitch the sleeve to the body using a 1/2″ SA. Go slowly, and avoid puckers. 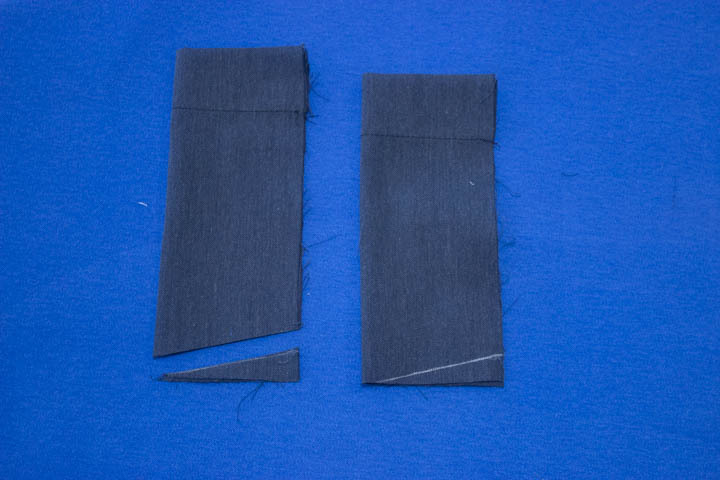 You should be stitching just the sleeve to the body; the foldover portion of the sleeve does not get caught in this stitching. The image above is the WS of the shirt, and you can see the foldover pressed onto the sleeve cap is free. Press well! 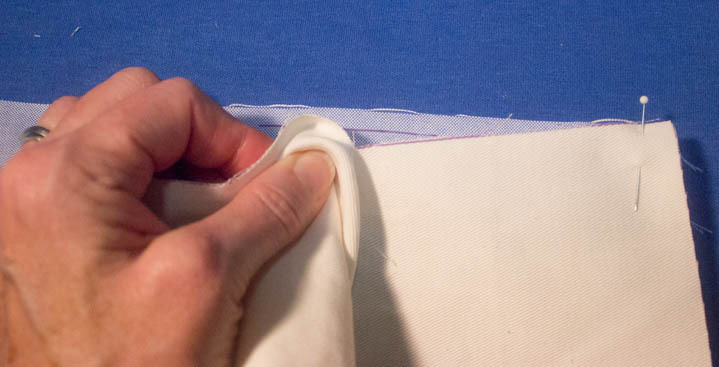 Now, from the WS, glue baste or pin, or both, the pressed edge of the shoulder seam to the body of the shirt. 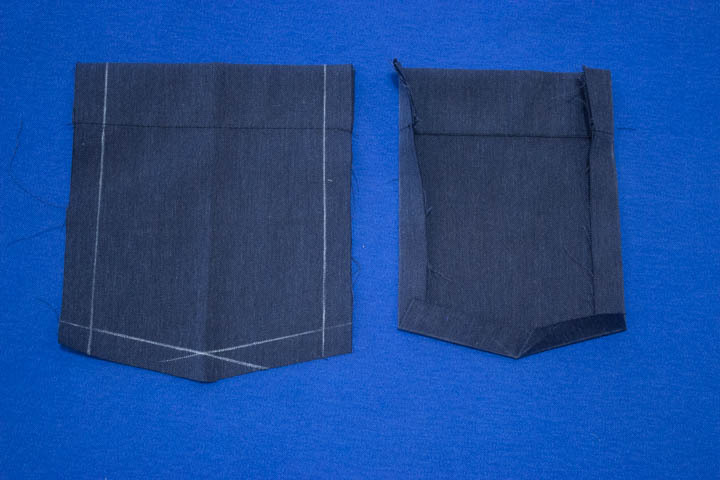 The pressed sleeve edge now is laying against the WS of the shirt body. 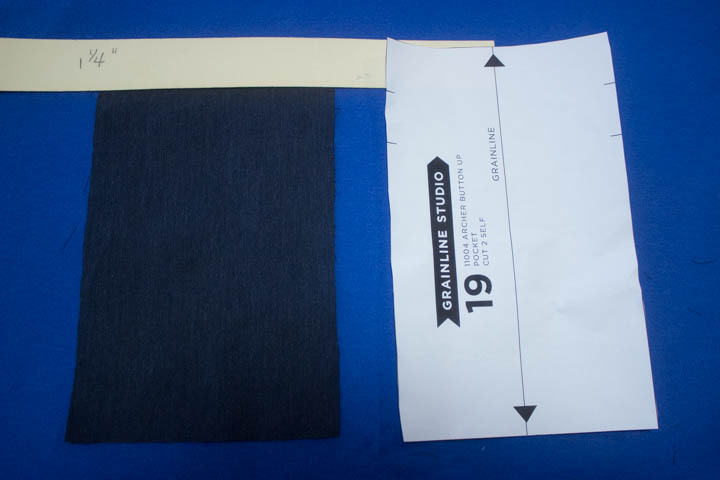 From the RS, topstitch on the shirt body approximately 3/8 – ½” from sleeve shoulder seam. I keep my presser foot against the seam well, and move my needle over to the position I want. The goal is to stitch perfectly straight from the right side of the shirt, and also catch the foldover edge of the sleeve cap on the WS. Looks pretty good from the RS. Admittedly, not as perfect from the WS, but the few remaining RTW shirts belonging to my DH look exactly the same, so I am OK with this stitching. Some shirts come together 100% perfect on both sides, and some don’t. 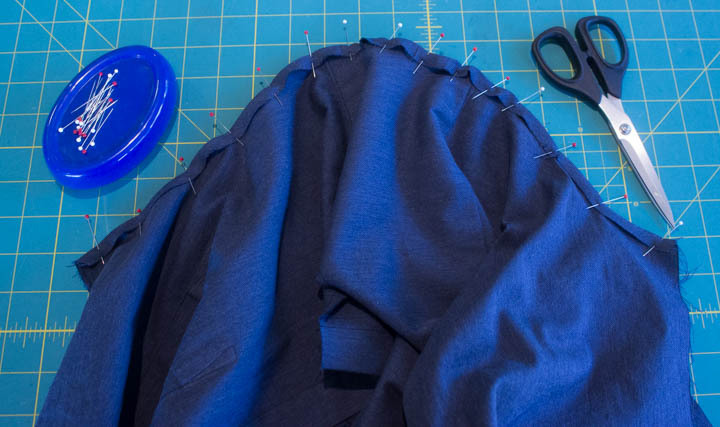 You will need to decide if and when you rip out the topstitching, but since I always rip out ALL the topstitching and start from scratch, this works for me. Hey! I meant to publish this earlier in the week. Sorry about that, and I hope I didn’t hold you up on your Archer progress. Today we are going to skin that sleeve placket a different way, peeps; we are going to man up our sleeves. That is, we are going to make a sleeve placket that is most commonly found on men’s dress shirts. I like this technique when I want a more tailored look for my shirt, and I especially prefer it if I am going to wear the sleeves rolled up at least some of the time. 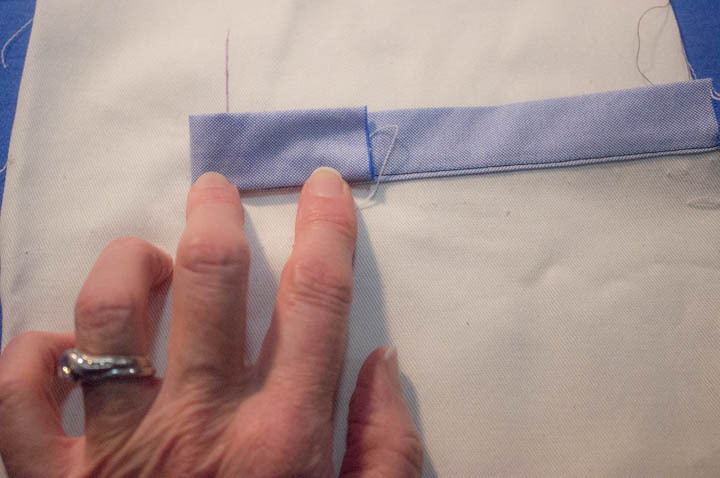 Remember, you can apply the sleeve plackets before or after you set the sleeve into the armhole, but IMHO it is a bit easier to do it beforehand, just so you have less fabric to deal with. I use template jigs to press my plackets. You’re not surprised, are you? 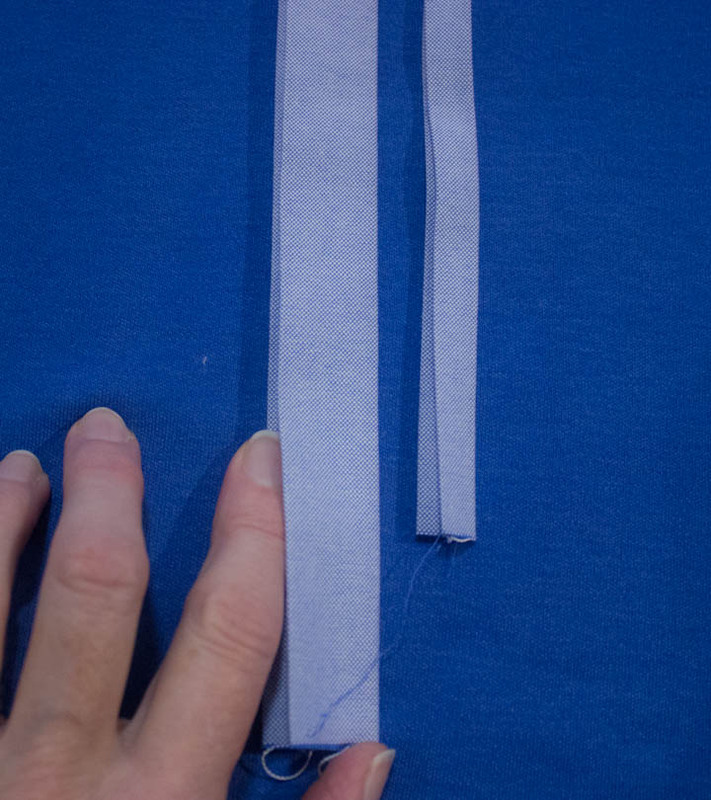 😉 The sleeve placket jigs are a little more complicated to make than the front placket “single strip”, but still totally easy. 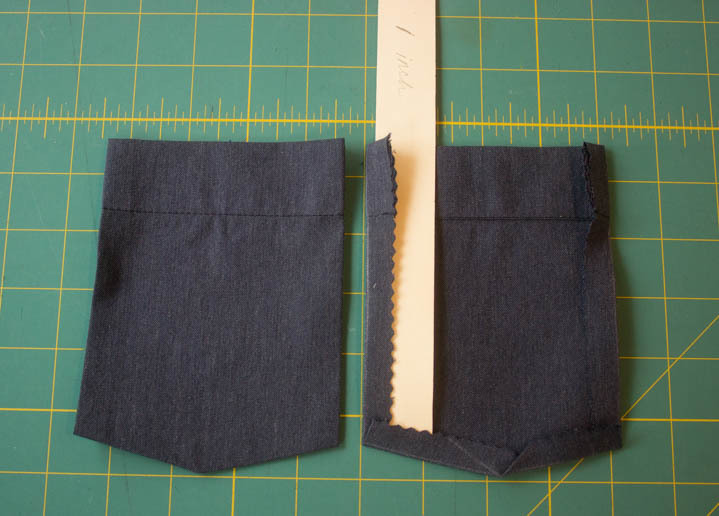 You will make 2 jigs; one for the smaller sleeve placket and one for the larger placket. 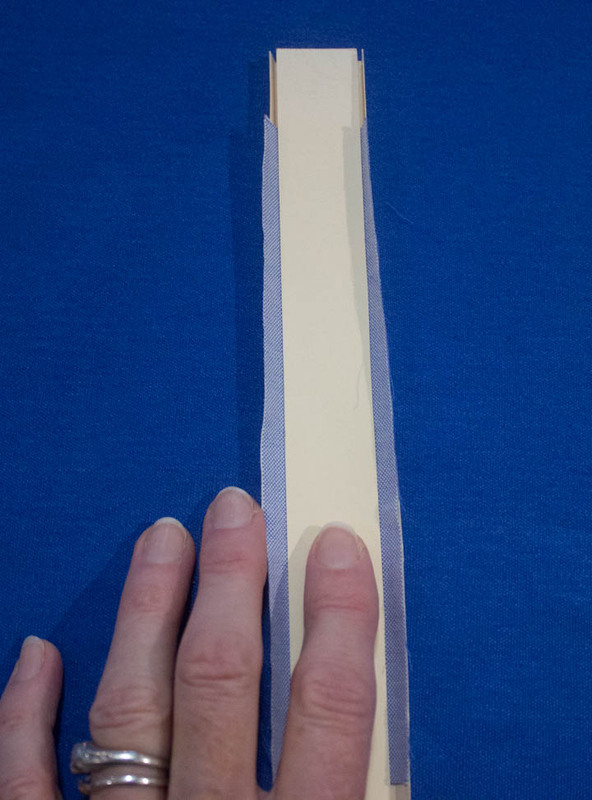 For the smaller placket, cut 1 piece of tagboard or manila file folder that is 1.5 inches x 7 inches (shorter is OK) for outer piece, + a second piece 1 inch x 7 inches for inner section. For the larger placket, cut 1 piece of tagboard or manila file folder that is 2.5 inches x 9 inches (shorter is OK) for outer piece, + a second piece 2 inches x 9 inches for inner section. 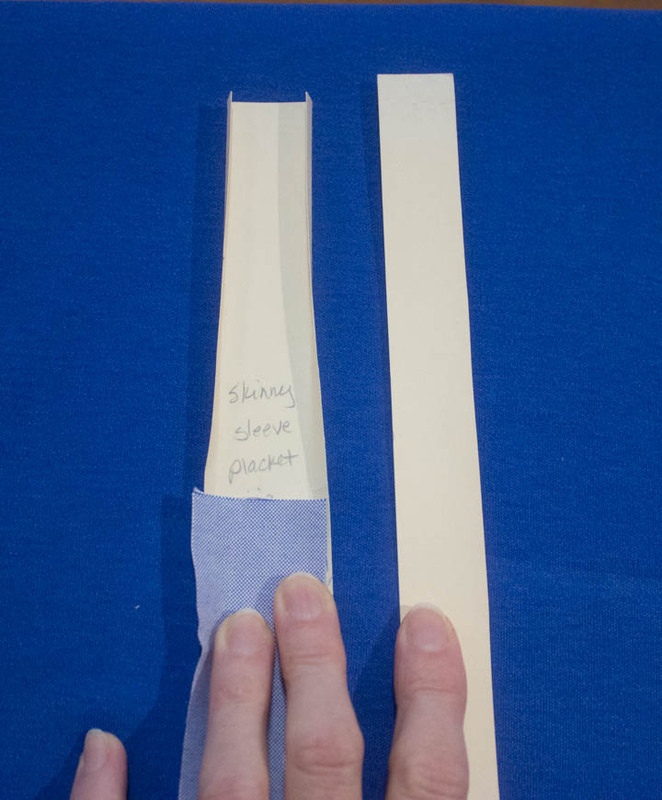 On both of the outer pieces, score a line on either long edge that is ¼ inch from the edge. Now you have your sleeve placket pressing tools! Next up, cut two rectangles of fabric 1.5 inches wide and at least 7 inches long for the skinny sleeve placket, and 2 more rectangles 2.5 inches wide and 9 inches long for the fatty one. 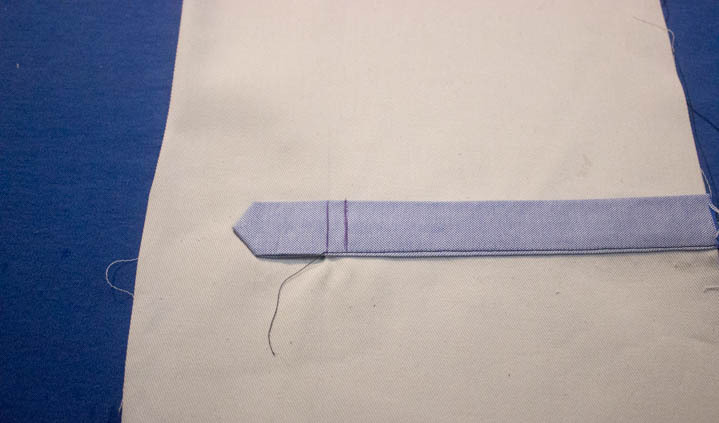 Place a skinny placket into the outer piece of the skinny placket jig, WS facing up, aligning the long edges of the fabric with the sides of the jig. Place the inner jig section on top, and press. Repeat for the other skinny placket and the 2 larger sleeve plackets. Finally, press each placket in half lengthwise, favoring to one side slightly. If you didn’t make the templates (shame on you! ), then press the long sides of all 4 rectangles toward the center by 1/4 inch. Also press in half lengthwise, and also doing the favoring-to-one-side-slightly-thing. 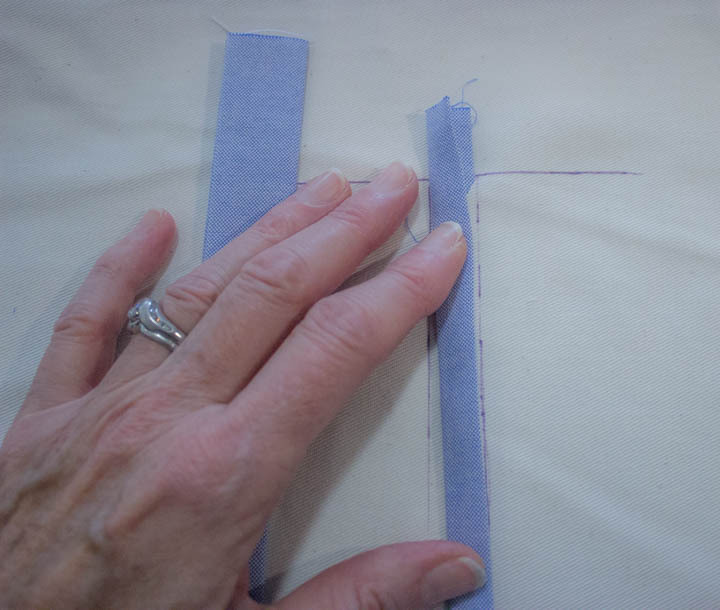 Next, using the marking tool of your choice, draw the cutting line for the sleeve vent (as indicated on the pattern) on the RS of both shirt sleeves. Make sure that you are marking the mirror image, meaning both the right and left sleeve. The cutting line is ALWAYS on the back portion of the shirt sleeves, because who really wants plackets on the front of their wrists, right? Also draw a horizontal line across the top that is at least 2 inches wide. Cut along the vertical line only, and be sure to angle to the corners at the top to create a little triangle. One dilemna that can trick you up is what side of the shirt sleeve do I put the skinny/fatty placket on???? Easy answer! Fatty placket goes to the fatty (wider) side of the sleeve vent (which is always the front side of the sleeve), and skinny goes to the skinnier side of the sleeve vent. Big:big and little:little- easy to remember! Sooo, slip the skinny placket onto the “skinny side of the sleeve vent. Make sure the RS of the sleeve and the placket are both facing UP,and the WS of the placket is underneath on the WS of the sleeve. Pin or glue baste the placket in place. 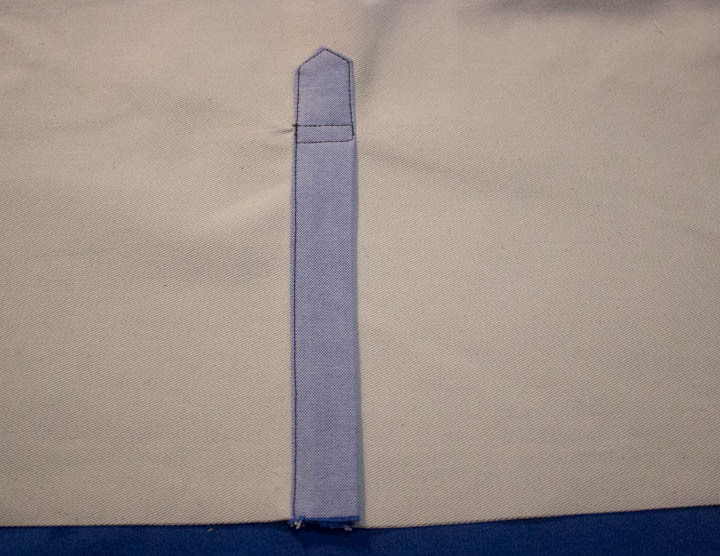 Topstitch on the skinny placket, and only up to the horizontal line. Do not catch the triangle in the topstitching. 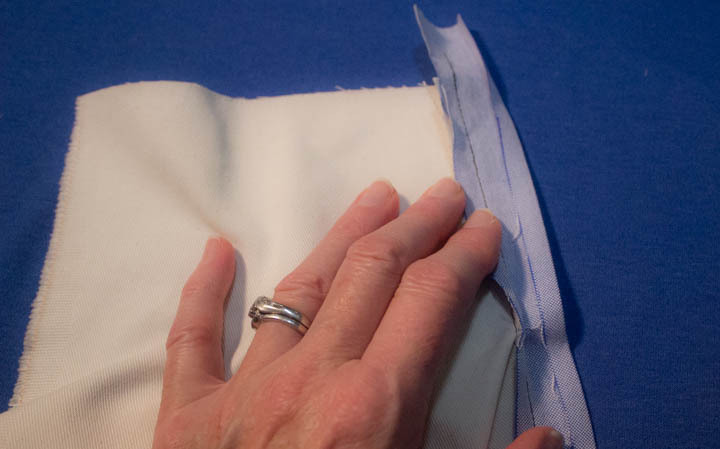 Repeat the same process with the fatty placket on the fatty side, and then also repeat for the other sleeve. Now you can stitch the little triangle to the WS of the skinny placket, and trim the skinny placket so it is only extends about 1/4 inch or so beyond the horizontal line. 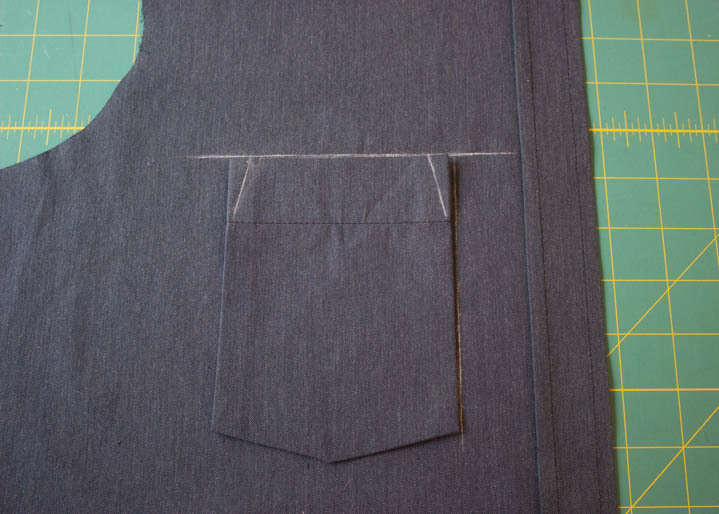 Press the skinny placket flat and smooth. 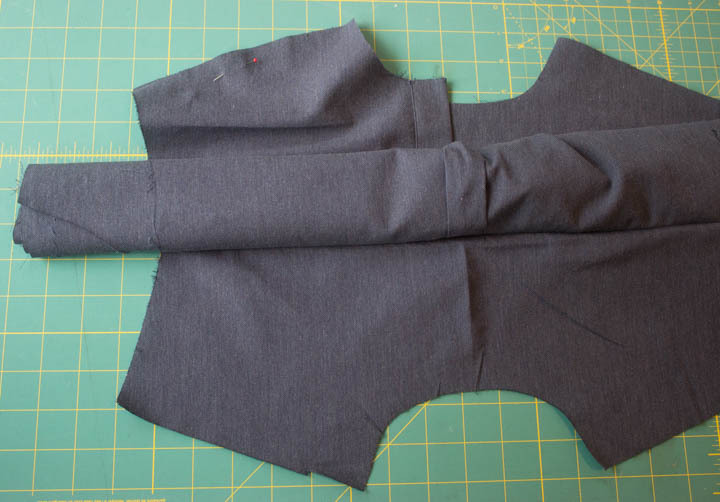 Now you get to make the little pointy part of the large placket. It is easier than you might think. 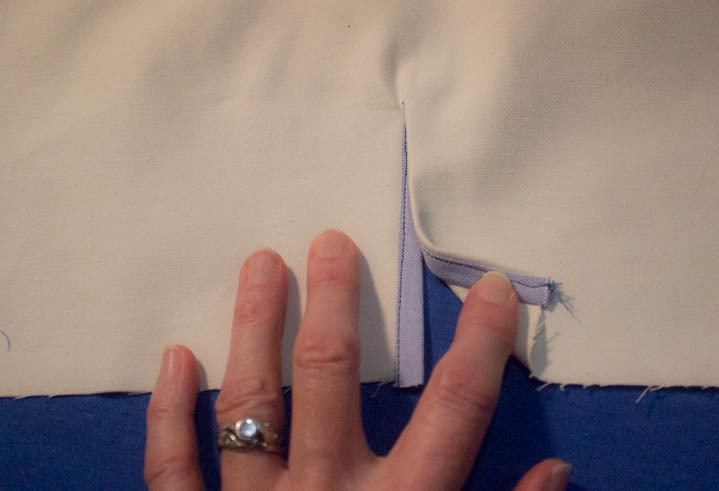 All you have to do is fold down the top/unstitched portion of the placket right on top of stitched part of the placket. Then fold at a 90 degree angle, and then back again on itself at a 90 degree angle. Press well! Unfold the placket, and trim pretty close to the “X” creases, leaving about 3/16 inch remaining. Refold the placket into the little pointy hoo-hah, and glue baste it in place. 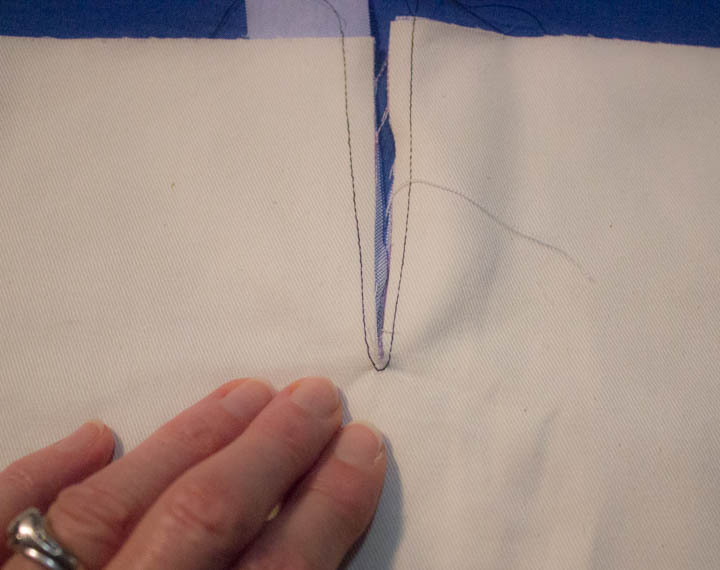 I like to draw a little rectangle right the original horizontal line I drew, so the skinny placket gets caught correctly into the topstitching. 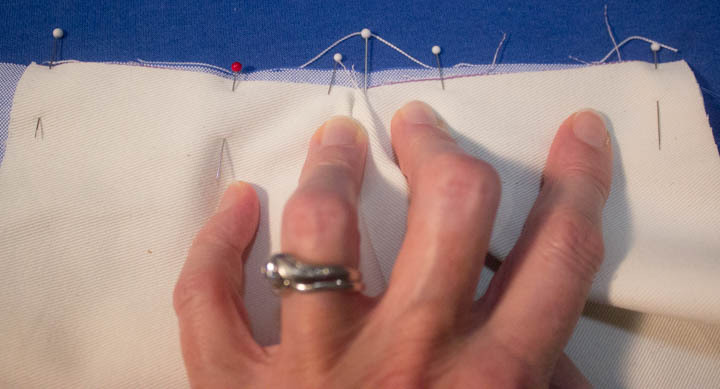 I usually start stitching right where I left off on the placket topstitching, continue around the pointy top,down the other side, and finally around the rectangle. 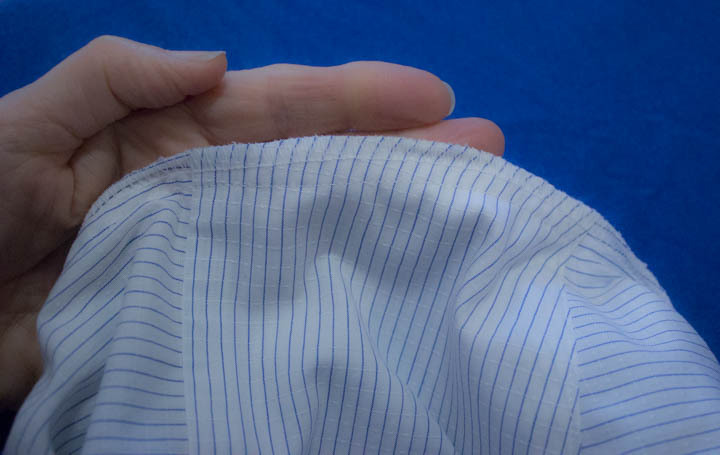 This minimizes the amount of visible overstitching on the placket. That’s it! Nothing hard at all, right? Repeat for other sleeve and admire your lovely topstitching. 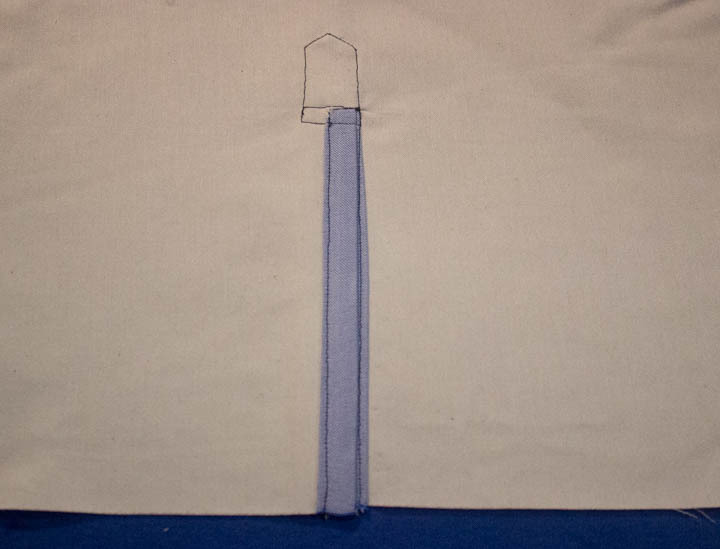 And this is the inside view, with the skinny placket end caught in the topstitching of the pointy-thingy + rectangle. No raw edges—sweet! 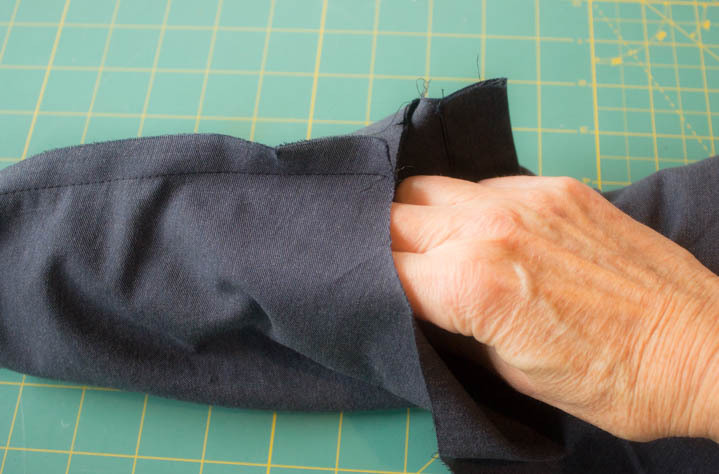 There’s almost always more than one way to skin a cat, and this is certainly true for applying sleeve plackets to shirt sleeves. 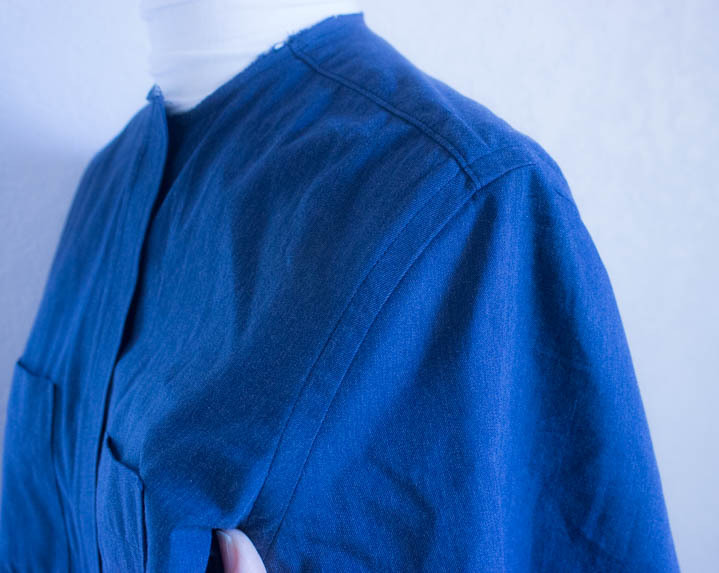 Today I want to show you what I think is probably the most common way to add a placket to a woman’s blouse or shirt. It is simple, unobtrusive, and a delicate, feminine finish to a shirt sleeve. For this example I am using 2 different fabrics plus contrasting thread so you can really see the process and the stitching. Ugly for sure, but hopefully clarity will win out! Oh, and you can apply the sleeve plackets before or after you set the sleeve into the armhole, but IMHO it is a bit easier to do it beforehand, just so you have less fabric to deal with. 1. 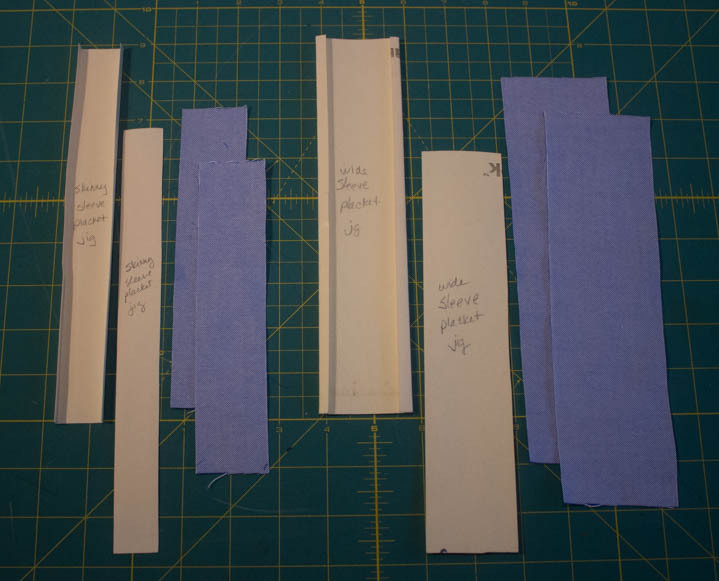 Start by cutting two rectangles of fabric 1.25 inches wide and at least 7 inches long. I like to cut them a little extra long and trim any excess off, rather than have them end up short. 2. 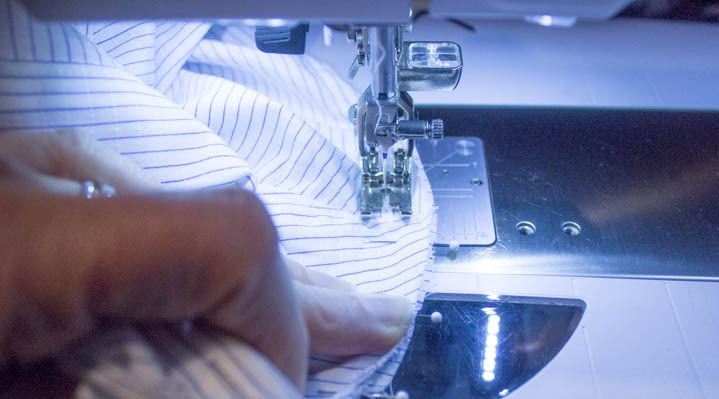 Using the marking tool of your choice, draw a line as indicated on the pattern on each shirt sleeve.Make sure are marking the mirror image, meaning both the right and left sleeve. Cut along this line. 3. 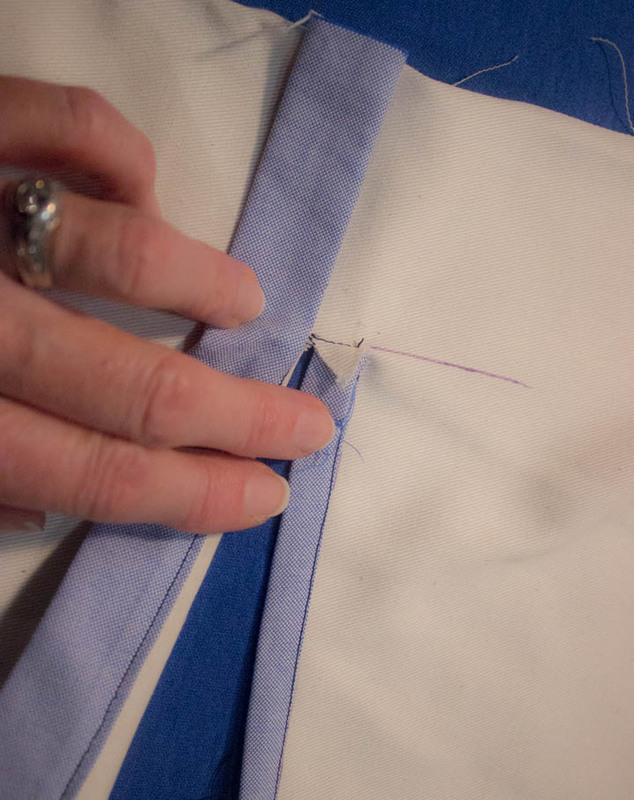 Draw a line 1/4 inch from the edge of the sleeve placket in the middle section. I like Frixion pens for this kind of job. See my purple Frixion line up near my thumb? 4. 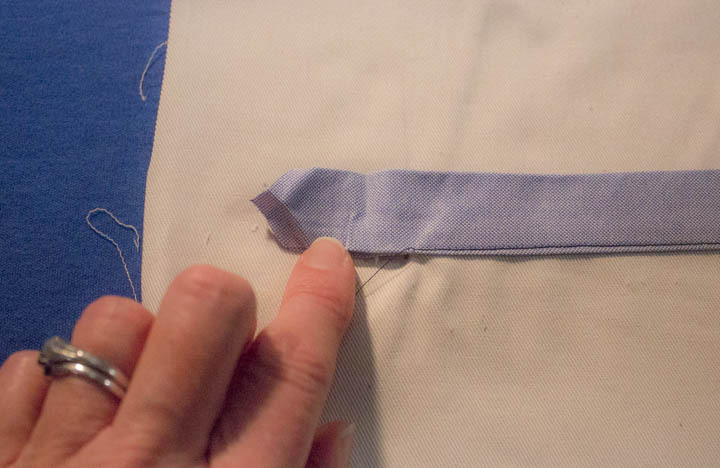 Pin the placket strip to the sleeve, RS together. 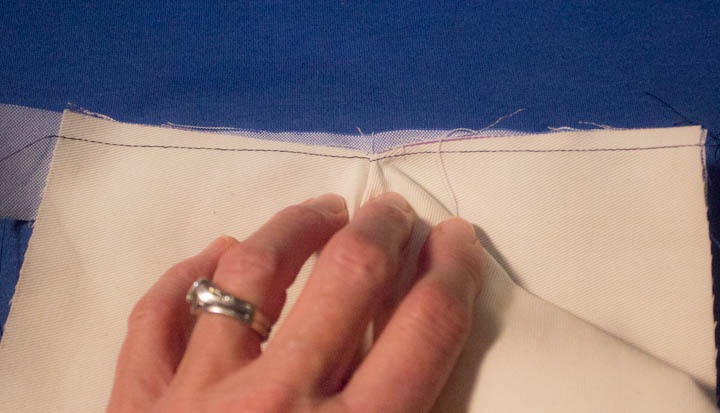 At each end the raw edge of the sleeve slit and the raw edge of the placket strip will be matched up, but towards the center of the slit the sleeve will be almost 1/4″ away from the placket edge – but make sure the center is slightly over the 1/4″ line you drew. 5. 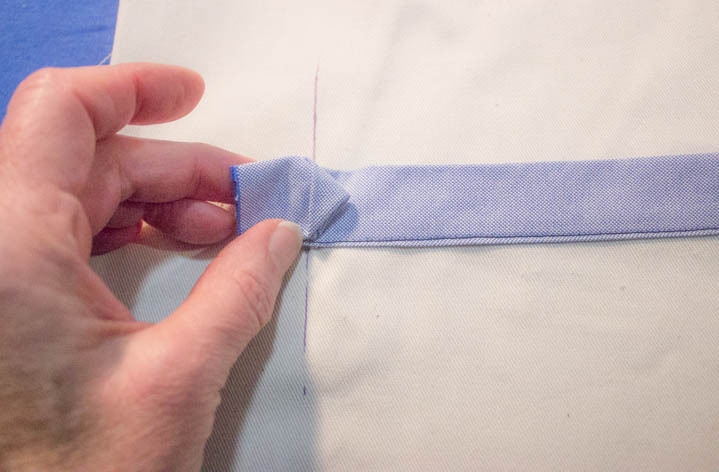 Using a 1/4″ SA, stitch the placket to the sleeve. Try really, really hard not to catch any little tucks or extra folds in the center of the placket. It kinda looks like I stitched a tuck into my seam, but…. …when you look at it this way, all is well! 6. 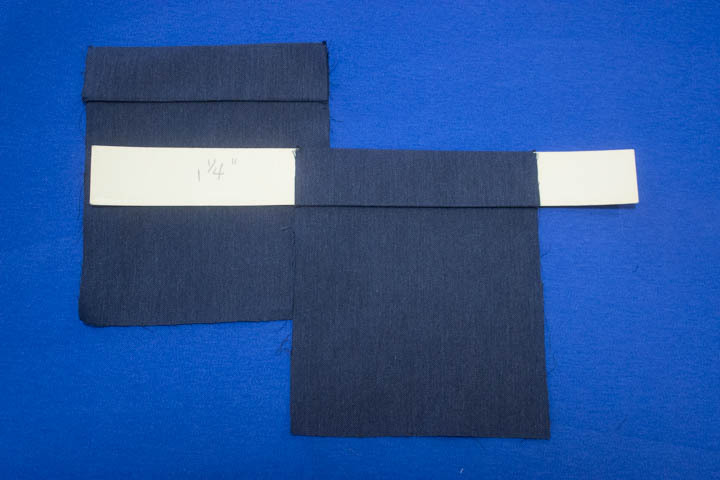 Press 1/4″ SA on the other side of the placket strip, and also press the sewn edge of the placket strip toward the center of the strip. 7. 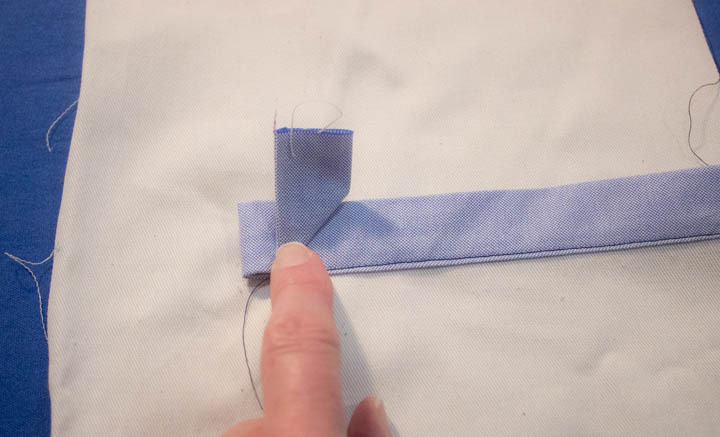 Fold the placket strip to the wrong side so it completely covers your first line of stitching, and glue baste in place. This ensures it will be completely caught when you flip it over and stitch. You might have to trim the seam allowance from your first stitching if it is too bulky. 8. From the right side, edgestitch on the placket strip. I like to use my edgestitch foot, and on my machine I move the needle 2 positions to the right. Be sure to test this: you want the stitching verrrrrry close to the edge, so the needle position may be different on your machine. 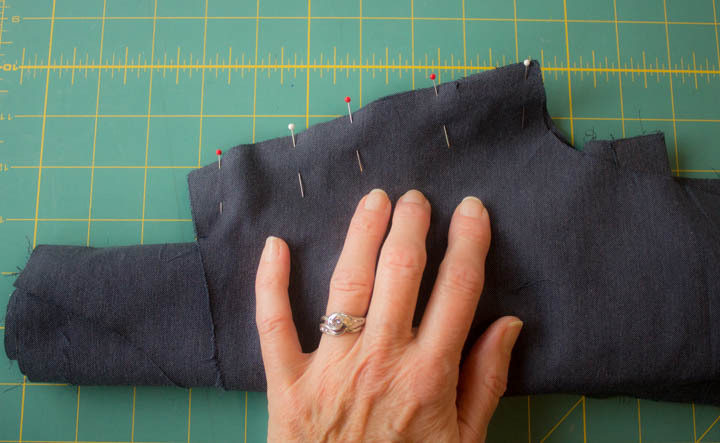 Your placket is done, and now all you have to do to prep the bottom of the sleeve for the cuff is fold and press the pleats in place. Nice work! I talked with Jen about why she didn’t include this construction method in her instructions, since it is my vastly preferred shirt yoke construction method, and I get it. It is harder to explain. NOT harder to DO, but harder to explain. Let’s see how I manage. First off, lay your back + yokes on a table/cutting mat and check to make sure the two yokes line up evenly on all edges. If you didn’t stitch both yokes accurately to the back piece, it will just create a trickle-down problem in this next step. Isn’t that always how it is in sewing, darn it all! Next, move the yoke facing so that is against the wrong side of the shirt back. See that yoke facing peeking out on the left under the shirt back? Now lay your shirt front against the shirt back+yoke, right sides together. It doesn’t matter which side you start with – the process is the same for both sides. I started with the left shirt front. Then just put one pin in to hold the shirt front to the yoke; this is not the time for fussy pinning! Roll up the shirt front and back together. Don’t get toooooo close to the front yoke shoulder seam, because you do not want to catch this burrito filling in your stitching. You should be able to see the entire yoke facing at this point. Stitch across the yoke front shoulder seam, and then reach inside from the neck edge and pull the shirt front + shirt back out. Ta daaaaaa! 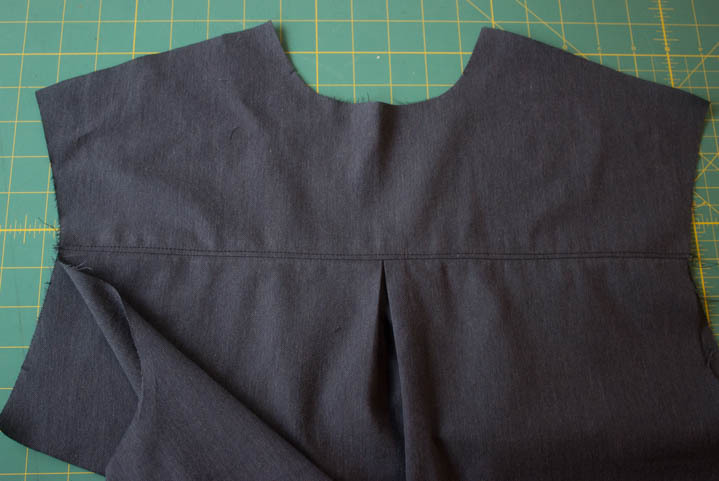 A totally enclosed yoke+shirt front should seam with no raw edges. BAM! This back is super fast and easy to put together. And I found pretty much the quintessential Seattle fabric, amiright? Yay for fish fabric!! Run 2 rows of gathering stitches along the upper edge only between the notches of the lower back (depending on your pattern version, this should be pattern piece # 6 or #8). One row should be about 1/4 – 3/8 inch from the edge, and the second should be about 5/8-3/4 ” from the edge. Can you see that gathering along the upper edge? I should have helped you out by using red or blue thread to stand out a little more, but I was too lazy to change my thread. Sorry! Pin the lower back section to the upper back, matching notches and center back, and stitch using a 1/2″ SA, which should end up between the 2 rows of gathering stitches. Finish the seam allowance using any method you would like; I serged the edge with a 3-thread overlock. That’s it for the unique-ness of View B. Hardly gets any easier than that, eh? Go ahead and attach the yokes as described in the View A Back post, and keep sailing along with the remaining Archer construction. Great progress! 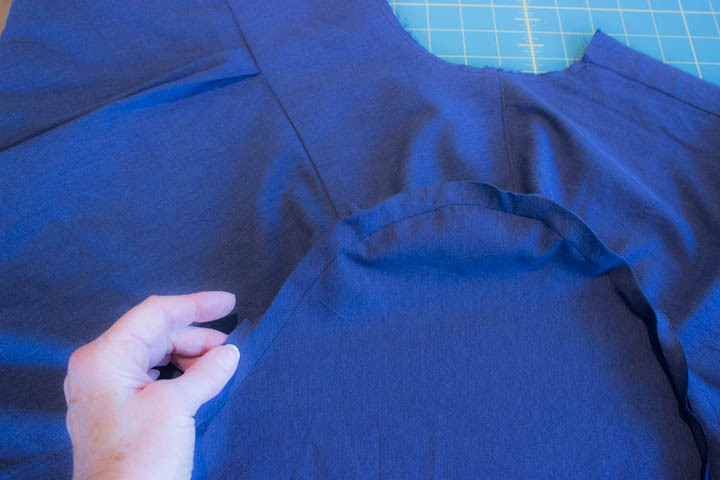 Today’s sew-along is super easy, and will cover just View A of the Archer shirt back. I am not sure how many of you are making View B, but I will cover that back view next. 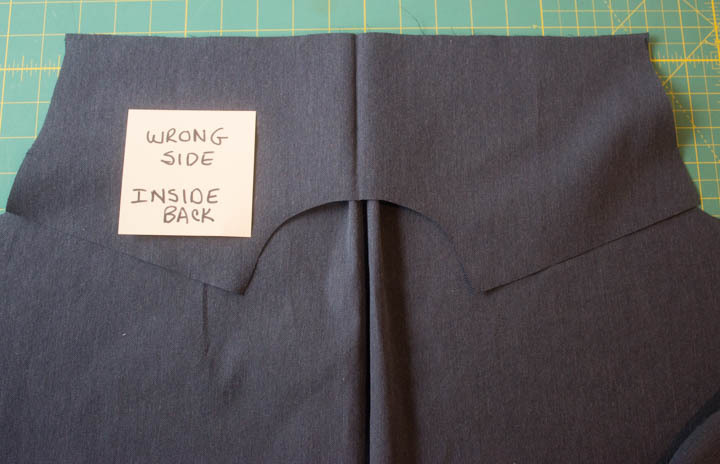 With the right side of the back facing up, pleat the back by bringing the notches to the center back, and press to set. 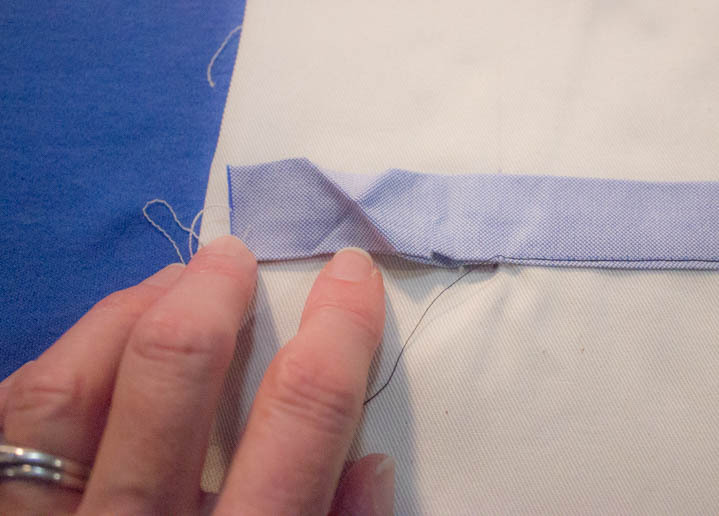 Baste across the pleat, stitching about 1/4″away from the raw edge. Now, flip the back over so the wrong side is facing up, and lay one of the yoke pieces on top, wrong side up. You can see in the pix above that the right side of the yoke is against the wrong side of the shirt back. Next, flip both pieces over and lay the second yoke piece on top of the back, right sides together. At this point you have a yoke-back-yoke sandwich. (You can barely see the bottom yoke layer peeking out in the upper right corner of the pix.) Pin the 3 pieces together, and stitch all layers together, attaching the shirt back to both yokes. 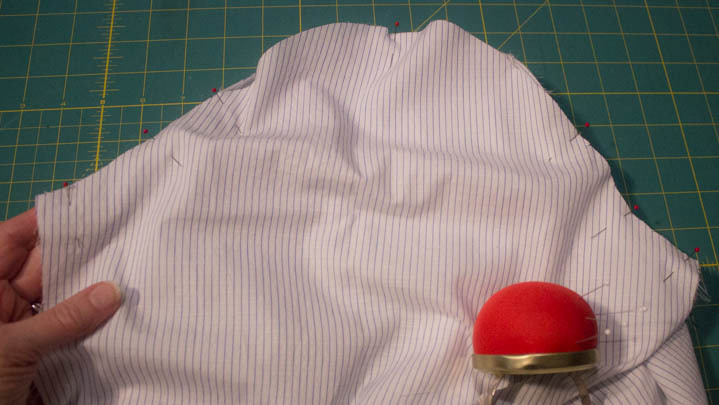 Press the outer yoke upwards, and temporarily fold the inner yolk down toward the shirt hem. Topstitch the outer yoke, keeping the inner yoke free. Press the inner yoke upwards, and you are done! Not even one template was harmed in this process! All you need is pattern piece # 19, a 1 1/4″ tagboard template (sort of optional), and your cut-out pocket pieces. I forgot to take a picture of the pocket topstitching. Sorry! I used my edgestitch foot, moved the needle over, and stitched close to the edge from the wrong side. Nothing scary so far about pockets, right? 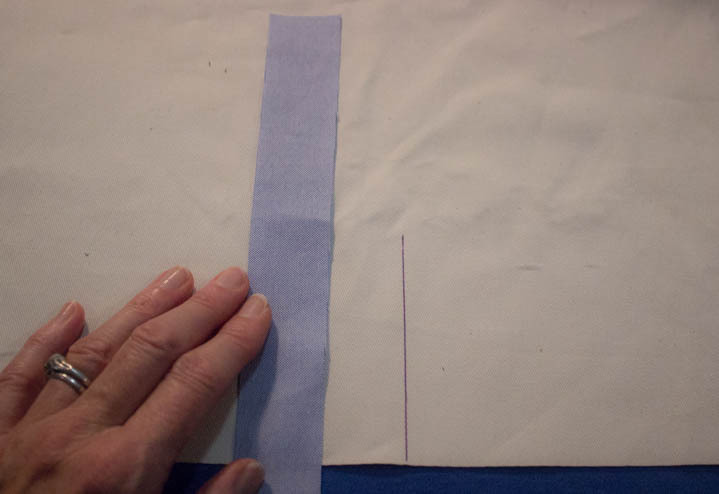 Use chalk or another fabric marker to draw the 1/2″ SA around the outside pockets edges. I mark the outside (RS) of the fabric because it is easier to see when pressing. I know. You are all gasping in disbelief that I did not create a tagboard template for this job. True confessions. I am not a big fan of pockets-on-my-boobage. 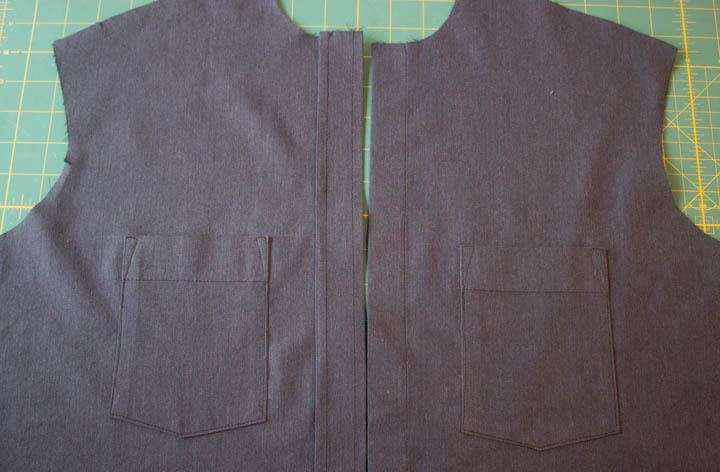 I only bother to create templates for things I repeat frequently, and shirt front pockets don’t qualify for me. Your call. 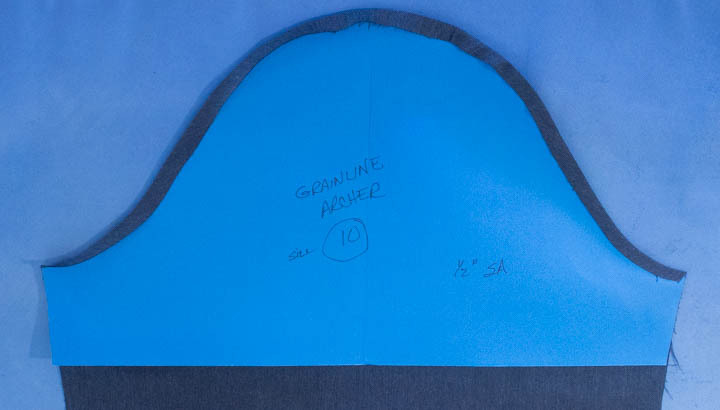 Template or draw chalk lines, and press your pocket seam allowances to the wrong side. 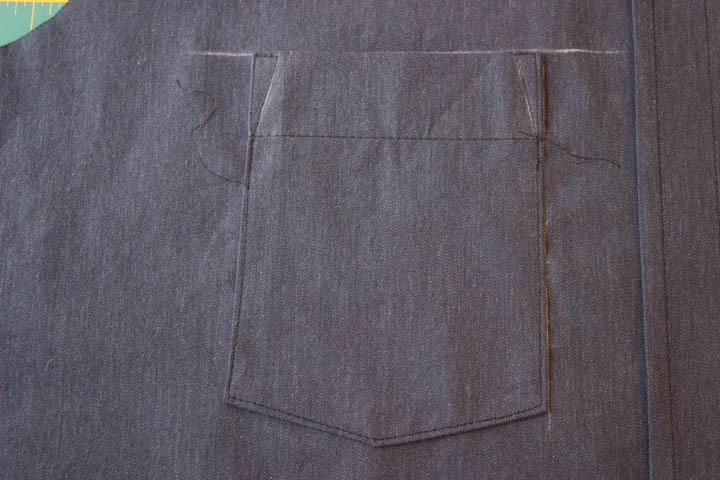 Next I used my handy little Chakoner yet again to draw the top and side-closest-to-the-placket alignment marks for the pocket. I marked the top line from the shirt front pattern piece, but also made sure the line I drew was perpendicular to the center front. Now about the line that is parallel to center front. 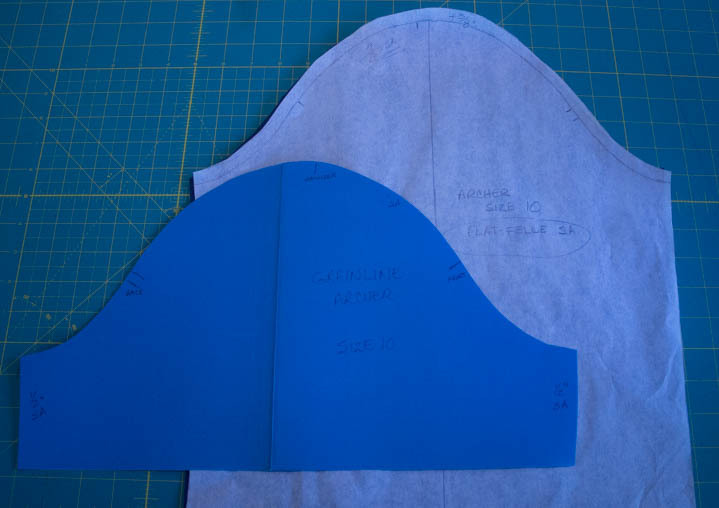 The pattern piece does not mark the exact vertical alignment for every size, so you are going to have to determine where you want the pocket placed. Just do make sure it is perfectly parallel to CF by using a ruler to measure/align before you draw the chalk line. I also glue-basted my pocket into place with a plain ole’ regular, cheap-y glue stick. Less pins = better topstitching, peeps. 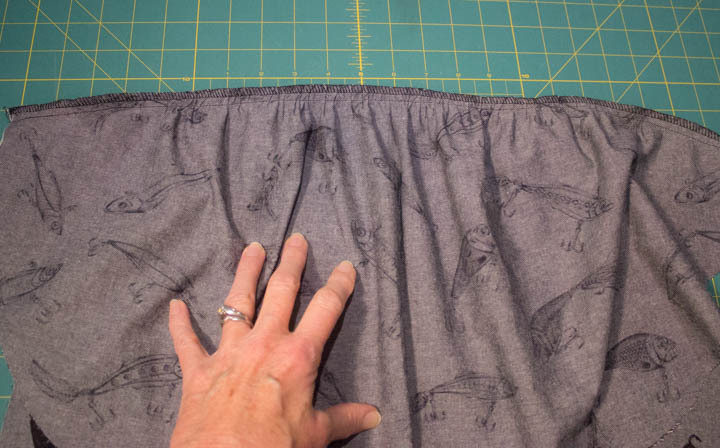 To secure the pockets (yes, the ones that I will never actually put anything into, I measured 3/8 inch from the outside edge at the top, and then drew a line to the horizontal topstitching. I started topstitching the pocket in this image a little below the horizontal topstitching on the right side, and then followed the chalk line, then across the top edge, and then down the outside edge(s), across the top edge, down the chalk line, and down the edgestitching on the left side again a little bit. This “overstitching” secures the topstitching, as long as you are exactly on top of the previous stitching. Repeat for the pocket on the other shirt front, and stand back and admire your awesome work! !